Twelve classic dessert, breads, candy, and topping recipes that are lower sugar than standard recipes. Many use natural alternatives like maple syrup or honey as the main sweetener. These low sugar recipes prove you can definitely have your cake and eat it too! A few years ago I decided to lower the sugar our family eats. 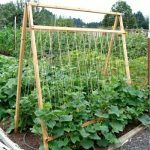 We had been eating real foods for awhile and that cut out a lot of the sugar that’s always found in processed foods (both sweet and savory), but cane sugar is a real food (you can see it growing – well, in Hawaii – and taste the sweet cane) so I didn’t really think about it specifically. After reading various articles about how sugar consumption has increased and what it does to our bodies (this article has some very sobering statistics), though, I became more purposeful by using less sugar in some of our existing recipes (like this caramel dip for apples made with less sugar) and to find or develop other recipes that still tasted great, but used as little sugar as possible. And since honey is sweeter than cane sugar, it makes it easier to use less of it in recipes, so I started incorporating honey as well as pure maple syrup into recipes like this maple-honey granola versus the brown-sugar version I had made previously. 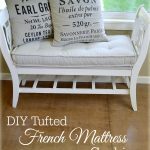 The results of this has been kind of life-changing. As a family we appreciate less sweet things now – and do NOT appreciate too sweet things. Our tastes buds changed and adapted: milk chocolate doesn’t even taste like chocolate anymore, just sugar. 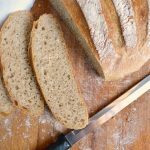 We get a lot of enjoyment out of recipes that use minimal sugars – we don’t feel deprived at all. 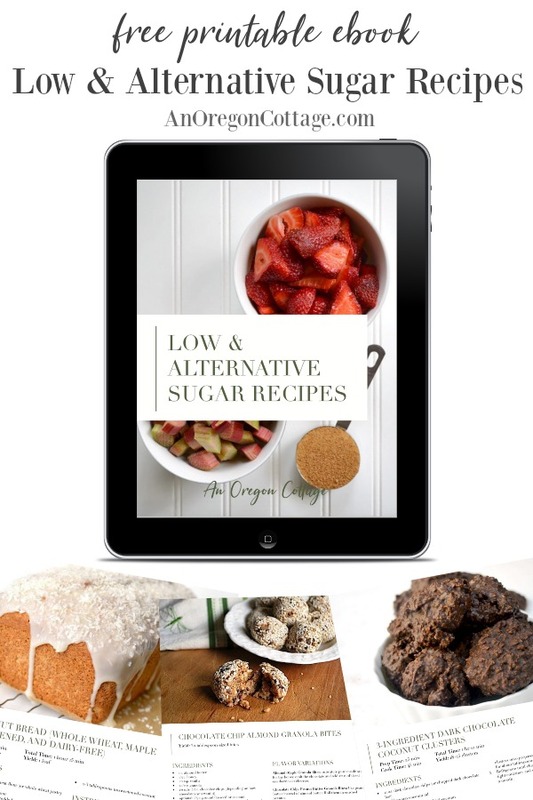 I think if you try some of these lower sugar recipes, you, too will see that you can have so many good things – candies, sweet breads, cookies, and more – and enjoy them the same (or even more) than higher sugar versions. And feel better about eating and serving them to others. 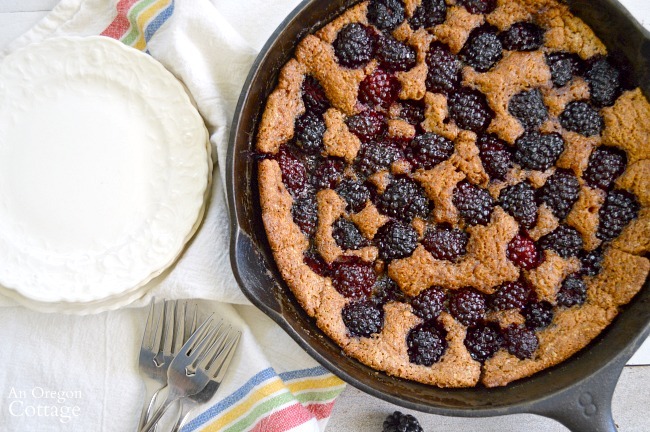 Whole Wheat Blackberry Skillet Cobbler. With less than a cup of sugar in this cake-cobbler makes for a healthy dessert option, especially because it’s 100% whole wheat and of course full of delicious and good-for-you berries. 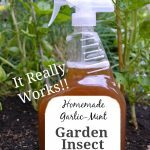 Oh, and it takes about 10 minutes because you simply pour it into the pan! 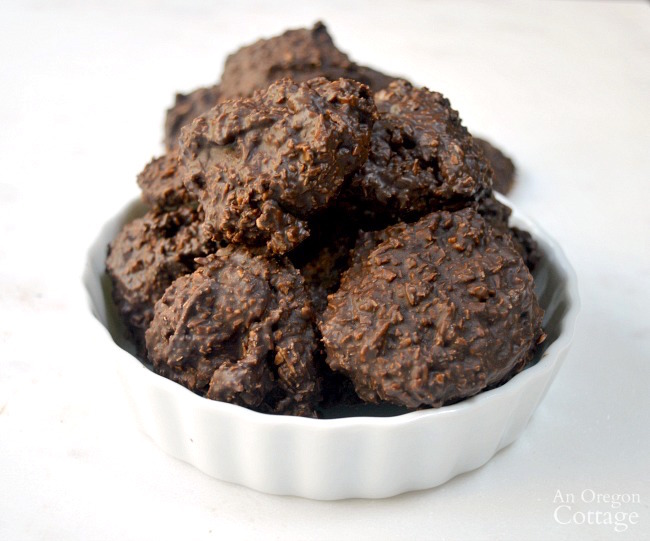 3-Ingredient Dark Chocolate Coconut Clusters. Based on an expensive candy store treat, this super easy candy is sweetened just with the amount of sugar in your dark chocolate. These are a hit where ever I take them. 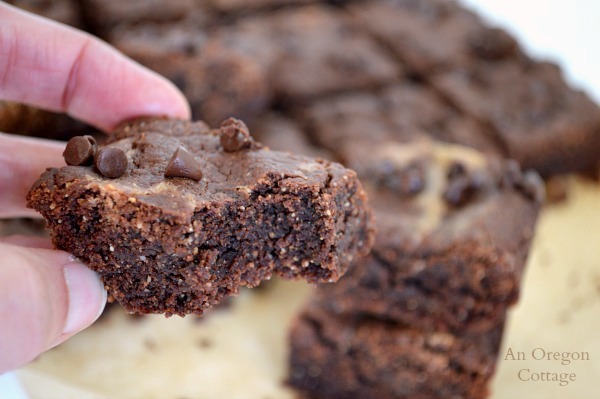 Grain Free Peanut Butter-Honey Brownies. A moist brownie sweetened with a bit of honey that contains no flour. 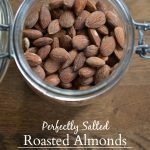 With the addition of peanut butter (or other nut butter), it increases the protein, making this a healthier dessert option. 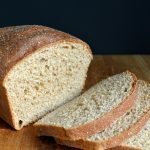 Whole Wheat Maple Sweetened Coconut Bread. 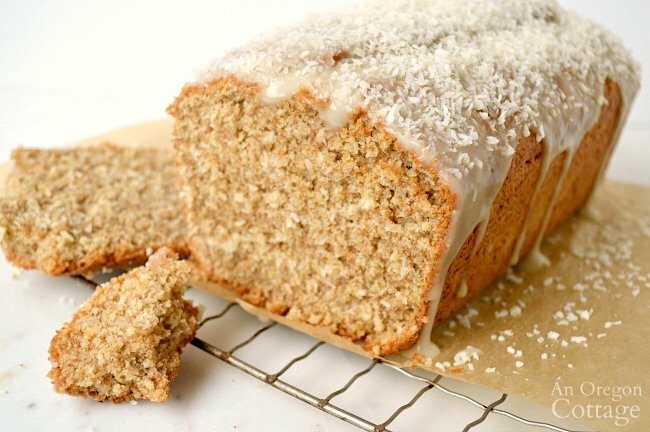 This bread is SO good – the combo of maple and coconut is maybe made in heaven? And that glaze is made with coconut milk and maple syrup, so no regular sugar even there. 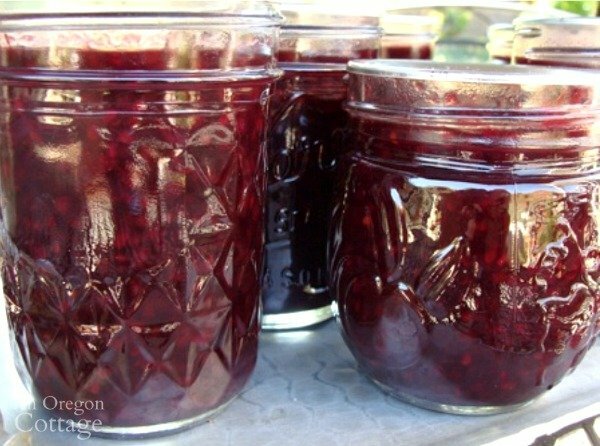 Low Sugar Canned Berry Syrup And Topping. This is a great way to have a fresh berry flavor all winter long for pancakes, waffles, and ice cream. Chocolate Chip Almond (or other nut butter) Granola Bites. 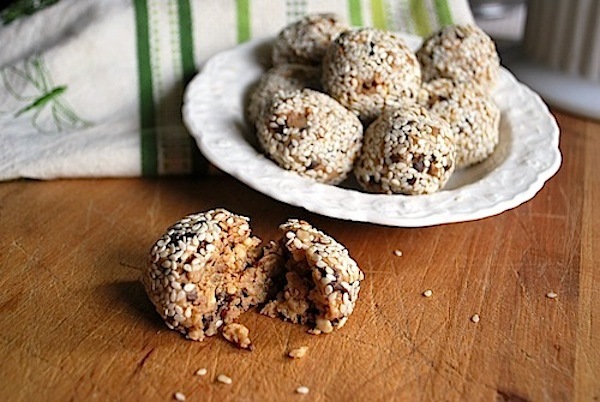 The sweetness in these protein rich snack balls comes from the granola and a little added honey, plus the chocolate chips (there are lots of variations to try, too). This is a case where a little goes a long way – they taste so yummy! 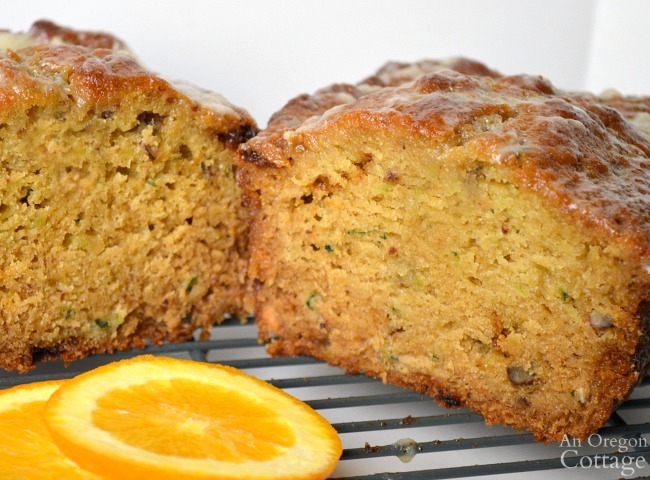 Honey Sweetened Orange Zucchini Bread. This whole wheat zucchini bread has such a bright flavor with the addition of orange juice. The bonus is the juice also sweetens the bread so you don’t need as much honey. The bread is then topped with a butter-honey glaze – so many things to love about this recipe. 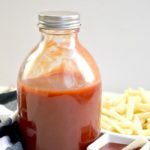 3 Ingredient Rhubarb Strawberry Sauce. Combining rhubarb and strawberries is a classic pairing, and because the strawberries are sweet, they counter the tartness of rhubarb. To make this a dessert sauce, though, adding just a bit of sugar is the key. But it’s just a bit. 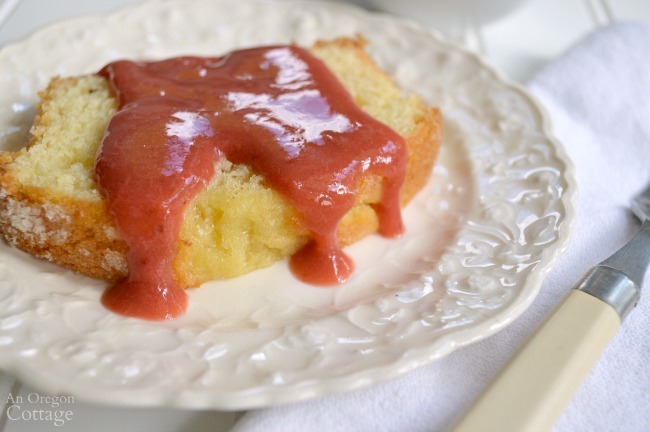 And this sauce is as good on lemon cake, as shown, as on ice cream, waffles, and fruit. 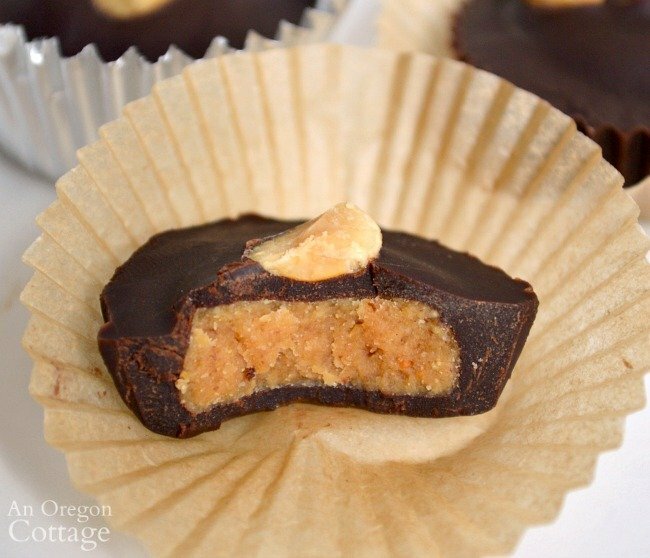 Honey Sweetened Peanut Butter Chocolate Cups. Not only are these yummy candies made with a low sugar peanut butter center, you can actually make the low sugar chocolate coating, too! Of course you can also just melt some quality dark chocolate and use the better-for-you centers. Either way these will be a lot better for you than store bought. Healthy No-Bake Fudge Oatmeal Bars. 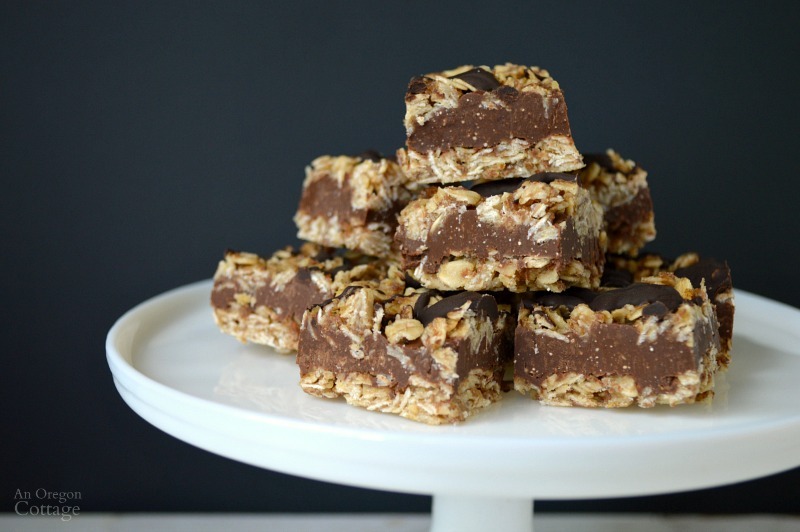 Easy no-bake bars that remind you of a candy bar, but are low sugar? Yes, please! These make perfect potluck and party food – they will disappear fast. 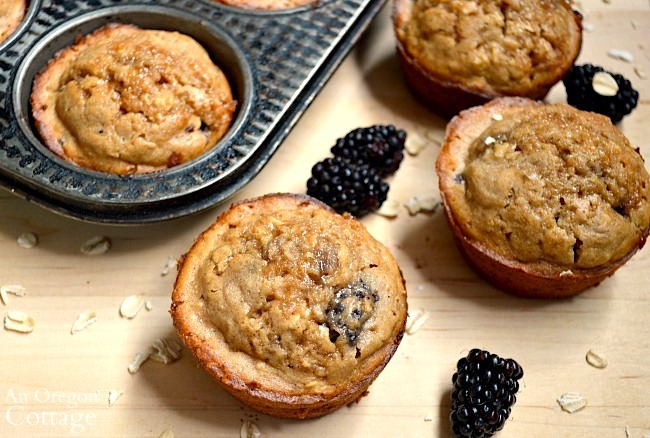 Honey Sweetened Oat & Whole Wheat Blackberry Muffins. These muffins are healthy enough to feel good about eating either for breakfast or snacks. Good either warm with butter or cold with a glass of milk or cup of tea – your choice! Healthy Chocolate Covered Pecans. 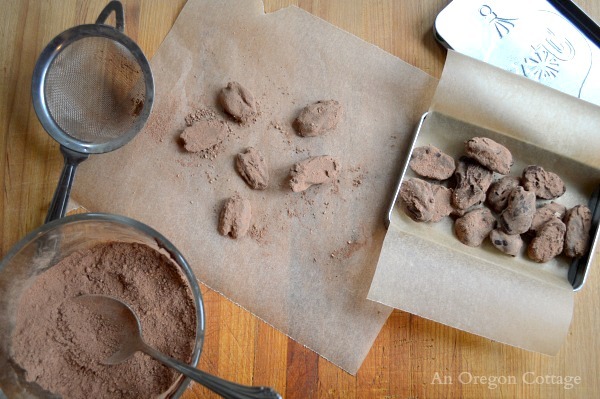 Make your own chocolate covered pecans with a low-sugar homemade chocolate coating. I give these at the holidays and people are amazed that they are good for you! My goal in gathering these low sugar recipes together for you is to show how eating healthier doesn’t have to be bland, boring, or full of deprivation. The key is always moderation (and using the tips outlined in my weight loss story here) and save these treats for special occasions when you can really enjoy them. 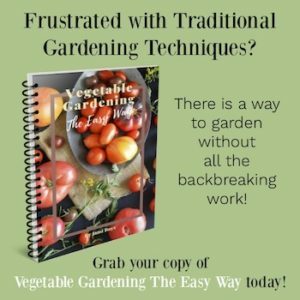 I hope you’ve found a couple new, healthier recipes to try! 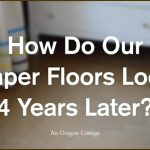 Be sure to let me know what you think in the comments or by email. 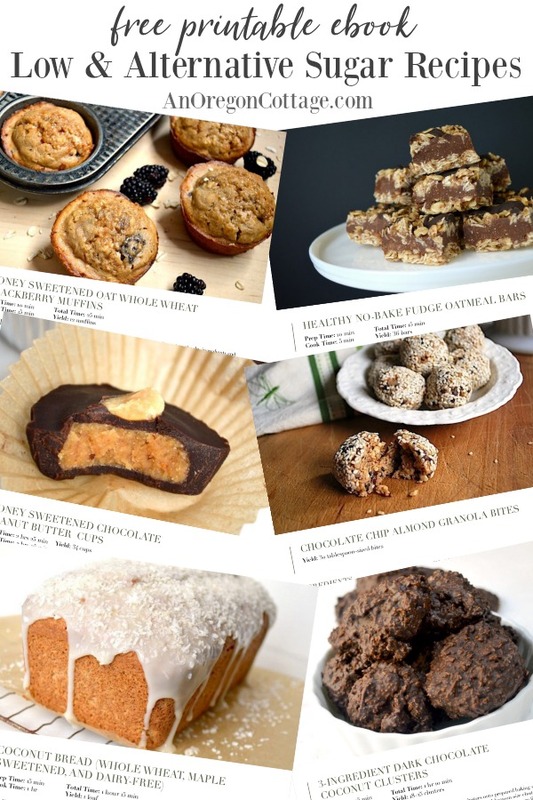 Would you like to have all these recipes in one place so they’re available whenever you want? 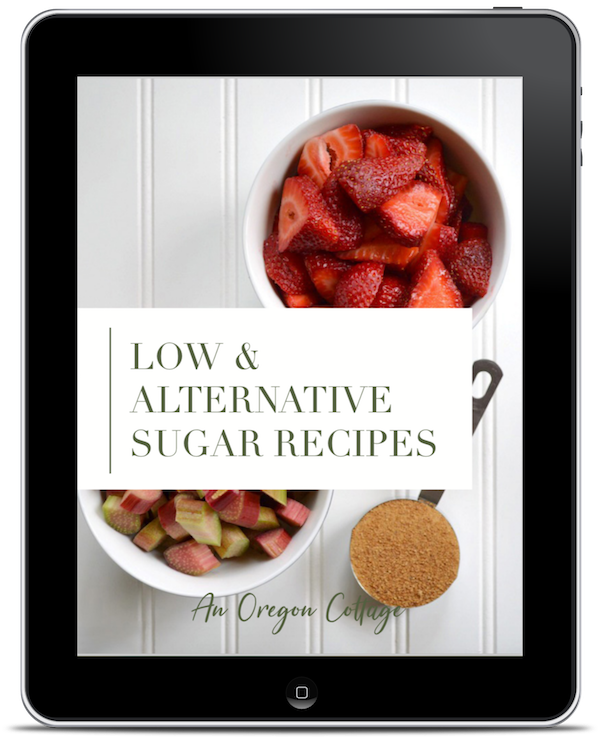 To make it super easy for you, I’ve put these favorite low sugar recipes into an easy to read ebook format exclusively for AOC subscribers! Thank you, Jami. I know what I’ll be reading and making plans with tonight. Have a great evening and God bless. I’m hope you find some keepers in here!